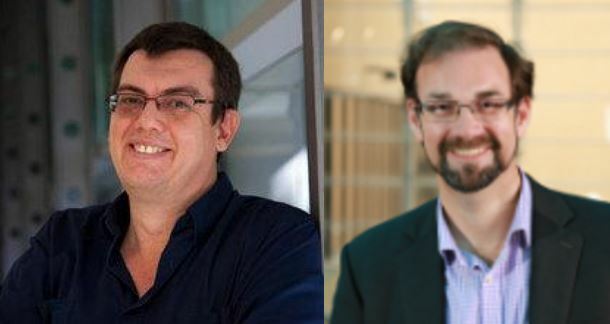 Dr. David Adamson and Dr. Adam Loch, ARC DECRA Fellows at The Centre for Global Food and Resources, share their thoughts on the Federal Budget 2017 and what it means for the Snowy Hydro Scheme. Well, Tuesday night’s Federal Budget (here) raised the possibility that the Federal Government would buy out NSW and VIC share of the current Snowy Hydro Scheme. While the Budget talk (no we haven’t trawled through all the Budget documents, here) failed to mention any funding to this process, it is likely that this process will be linked to the thought bubble released on the Snowy Mountains Scheme 2.0. Version 2.0 of the Snowy expects increased electricity generation from the current scheme by 2000 megawatts (50% increase). While no official figures on costs have been forthcoming, it was guestimated to cost at least $2 billion. This lack of water then impacts on the quantity of power that can be produced. (Hydro electricity Chart data from). 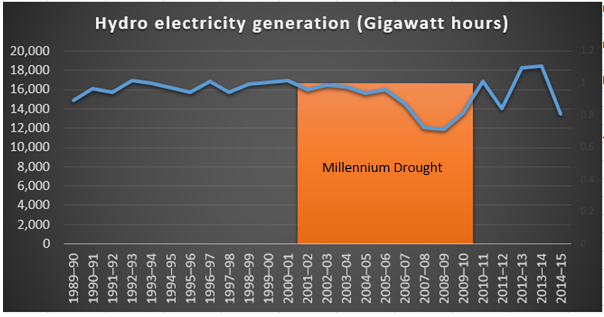 While the chart is for all hydro-power in Australia, the severity of the Millennium Drought and its impact on hydro power is evident especially in the latter part 2006-2010. The building of new infrastructure will require impounding more water. 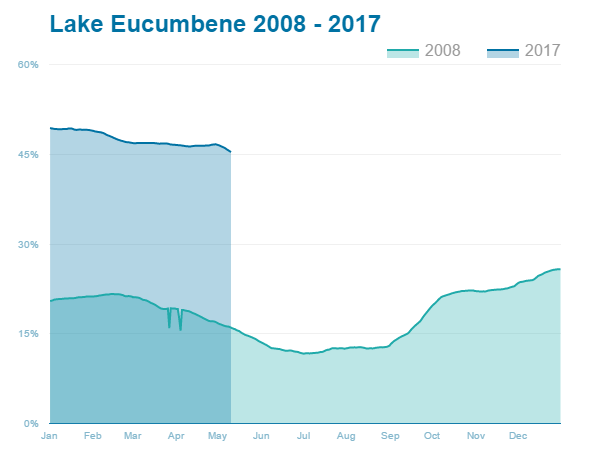 As water shares in the Snowy River are already allocated, where will this water come from and what are the negative impacts to water supplies from changing runoff patterns? With debate high about the need to increase flows into the Snowy River, what impact will the new infrastructure have on these plans? Climate change is expected to alter both the mean and variance of rainfall and snowfall. The work undertaken during The Garnaut Climate Change Review (here) included a number of scenarios where future rainfall and snowfall in the Snowy region would be very low. The joint function of climate change and new water to be stored will place downward pressure on the reliability of existing property rights. Overall, the combination of the transition towards re-nationalising the energy grid (including gas reserves), and a lacklustre stance on climate change raises a number of important economic questions about what is going on in this space. Presently most of these ideas have not progressed beyond a thought bubble (i.e. no committed funding) but it looks time for a good debate over the future of energy in Australia. This post was prepared by Dr. Adamson and Dr. Loch, and was orginally published on Dr Adamson’s blog.